A quarterback gets “dinged” – knocked cold on the field – only to return in the second half to engineer a last-second victory in a game he will remember only from the television replays. A boxer peels himself off the canvas after having his bell rung and turns the tables on his opponent by knocking him out the very next round. These exploits are lauded as heroic in the media and are the fare for Hollywood blockbusters. But Dr. Karen Johnston knows the darker side of brain trauma that affects the estimated 144,000 Canadians who suffer complex concussions each year. 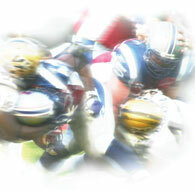 When the fanfare has died down, Johnston, the Director of the Concussion Program at the McGill Sport Medicine Clinic, helps once-healthy athletes overcome the debilitating headaches, nausea, cognitive problems and clinical depression that afflict them for months—even years—after a severe or complex concussion. A surgeon in the Department of Neurology and Neurosurgery and cross-appointed to the Department of Kinesiology and Physical Education, Johnston is a world-renowned expert on head trauma: specifically, concussions in athletes. In 2000, she revolutionized the way the injury is treated when she wrote the McGill Concussion Protocol. This new system effectively did away with the old grading scale that rated any loss of consciousness as a Grade Three concussion, at the time considered the gravest of all types. “A brief loss of consciousness is pro-bably less important than amnesia or post-concussion symptoms, which occur afterward,” says Johnston. Johnston is the concussion point person for such sports organizations as the International Olympic Committee, the Fédération Internationale de Football Association and the National Hockey League. She is held in such esteem that, after winning the Grey Cup in 2002, the Montreal Alouettes included Johnston among the medical staff members who received championship rings. But although she has influenced sports medicine at the uppermost echelons, perhaps Johnston’s most important work is being done at the grassroots level. Johnston has been involved for nine years with Think First Canada, a non-profit organization geared to educating the public about injury prevention, especially brain and spinal cord injuries. She is in charge of the Concussion Road Show, a series of public lectures held across the country designed to give doctors, coaches, young athletes and their parents a better understanding of this common sport injury. The problem in treating concussions has been that, unlike a broken leg, the injury was largely undetectable by MRIs and CT scans. “We used to think that concussions affected the structure of the brain,” says Johnston. “But now we know that a concussion disrupts the way a brain works, not the way it is put together.” As such, concussions can only be properly evaluated over time through careful observation of the symptoms and their gradual dissipation. Symptoms often are aggravated hours or days after the event itself and manifest themselves in ways that go largely ignored. Athletes who have sustained a blow to the head (or body) will often attribute their listlessness, irritability and problems sleeping to something else, like a flu bug, rather than a blow to the head they absorbed three days ago.